Army Chief, General Dalbir Singh, in a wreath laying ceremony in New Delhi paid homage to martyred Sepoy Vijaya Kumar K, who laid down his life in an avalanche triggered by a mild earthquake in Kargil Sector on 17 March 2016 while on duty. In a solemn wreath laying ceremony at Base Hospital Delhi Cantonment today, General Dalbir Singh expressed his deep condolences to his family of Sepoy Vijaya Kumar K and stated that the Army is proud of soldiers like him, who despite great difficulties in the most inhospitable conditions, defend our borders with utmost dedication. Army rescue teams had managed to recover the mortal remains of the soldier from under twelve feet of snow on the third day of a grueling search operation. Avalanche rescue dogs, deep penetration radars and metal detectors were also pressed into service in the rescue operation. 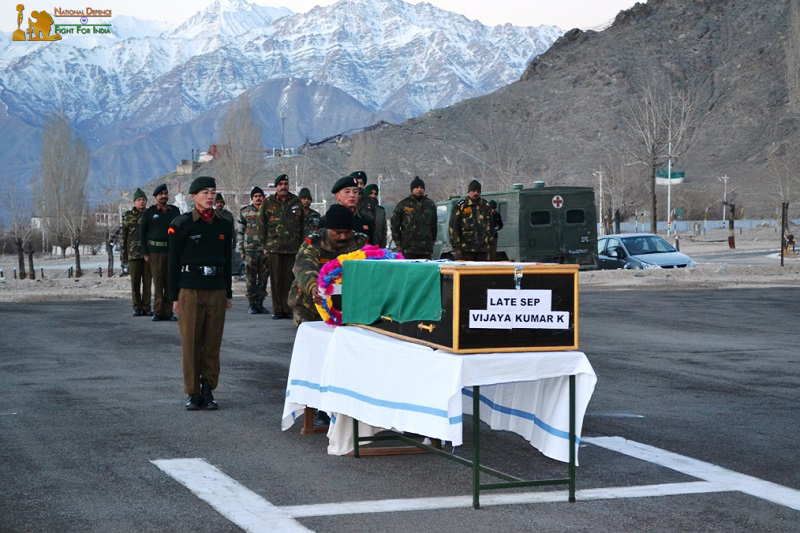 The mortal remains of 23 years old Sepoy Vijaya Kumar K was moved from Kargil to Leh on 21 March 2016. A wreath laying ceremony was conducted at Leh early in the morning on 22 March 2016 after which the mortal remains were transported to Delhi by air. 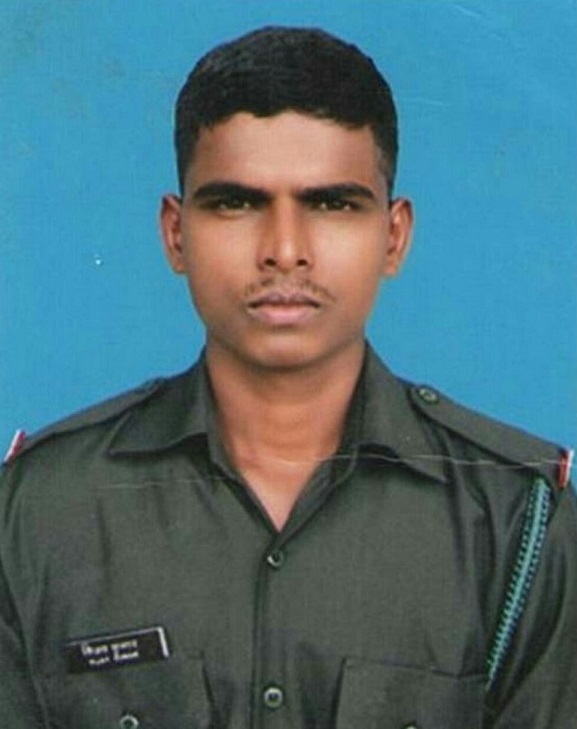 The mortal remains of the brave soldier’s will reach Thiruvananthapuram by air on night of 22 March 2016. They would thereafter be transported to his home town in Tirunelveli (Tamil Nadu) by road, where the cremation ceremony will take place with full military honours, tentatively on 23 March 2016. 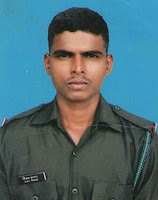 The brave soldier belongs to Vallaramapuram village of Thirunelvelli District of Tamil Nadu and is survived by his parents and two younger sisters.